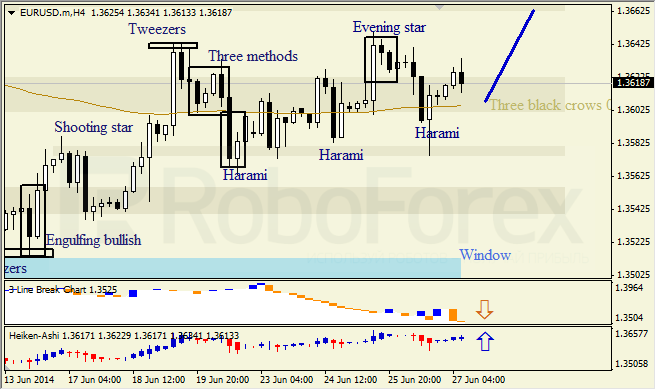 At H4 chart of EURUSD, trend was resumed after bullish «Harami». «Three-Line break» indicates descending correctional move, Heiken Ashi candlesticks confirm bullish destination. 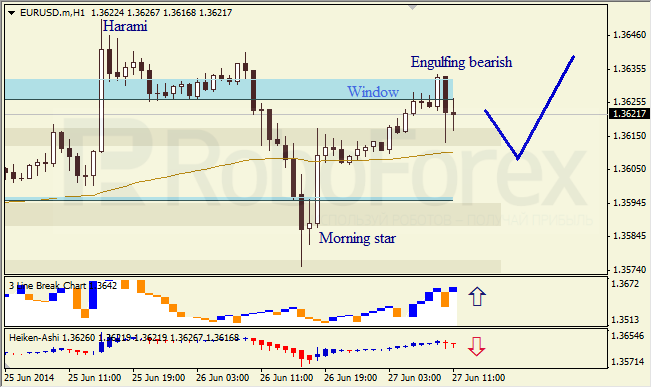 At H1 chart of EURUSD, we see bearish «engulfing pattern» located near upper Window that indicates descending move. 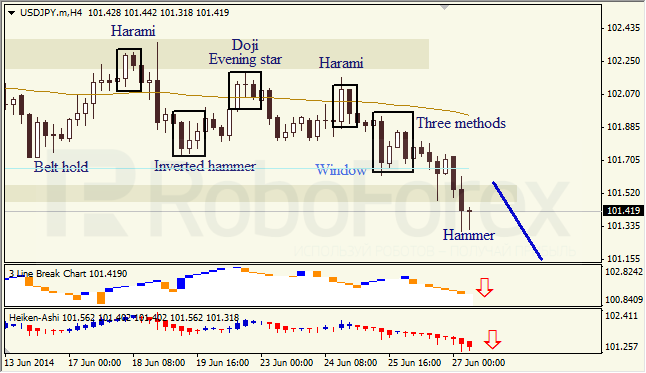 «Three-Line break» indicates bullish trend, Heiken Ashi candlesticks confirm bearish correction. 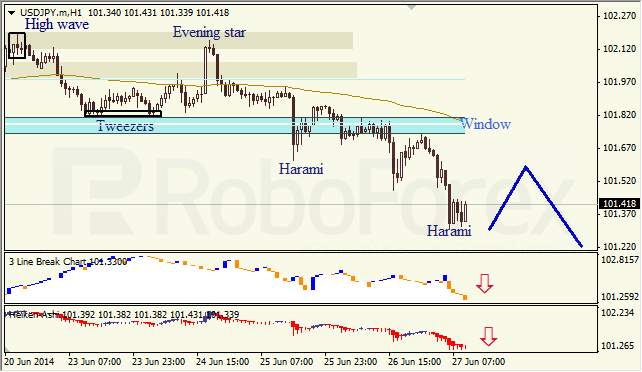 H4 chart of USDJPY trend is probably bearish, Windows is broken out to the downside and considered to be a resistance. «Three-Line break» and Heiken Ashi candlesticks confirm descending destination. At H1 chart, Window is considered to be a resistance, Three-Line break chart and Heiken Ashi candlesticks confirm descending trend, bullish Harami indicates possibility of ascending correction.